. إن الخدمات الممتازة وحسن الضيافة العالي في River Rock Estate تجعل إقامتك تجربة لا تنسى. إن واي فاي مجاني في جميع الغرف, كازينو, واي فاي في المناطق العامة, صف السيارات, خدمة الغرف هي جزء فقط من الخدمات التي تميز River Rock Estate عن باقي الفنادق في المدينة. في River Rock Estate غرف نوم يزيد عددها عن 2 صممت بذوق وعناية لتوفر لك كل وسائل الراحة . بعضها يحتوي أضاً على تلفزيون بشاشة مسطحة, اتصال لاسلكي بشبكة الإنترنت (مجاني), غرف لغير المدخنين, مكيف هواء, تدفئة. سواء كنت من محبي الرياضة أو كنت تتطلع لتفريغ عناء نهار صعب، ستجد خدمات ذات مستوى عالي بانتظارك كمثل مسار جولف - ضمن 3 كم, حديقة. إن كنت تتطلع إلى إقامة مريحة وهادئة في كرومويل، فستجد في River Rock Estate بيتك الثاني. We had a great stay, we enjoyed wine tasting with the owner and learnt a lot about how they make their wine. I loved that the room was amongst the vineyards that they use for wine making. It felt so homely and relaxing. Just a short walk to town made for a great location. 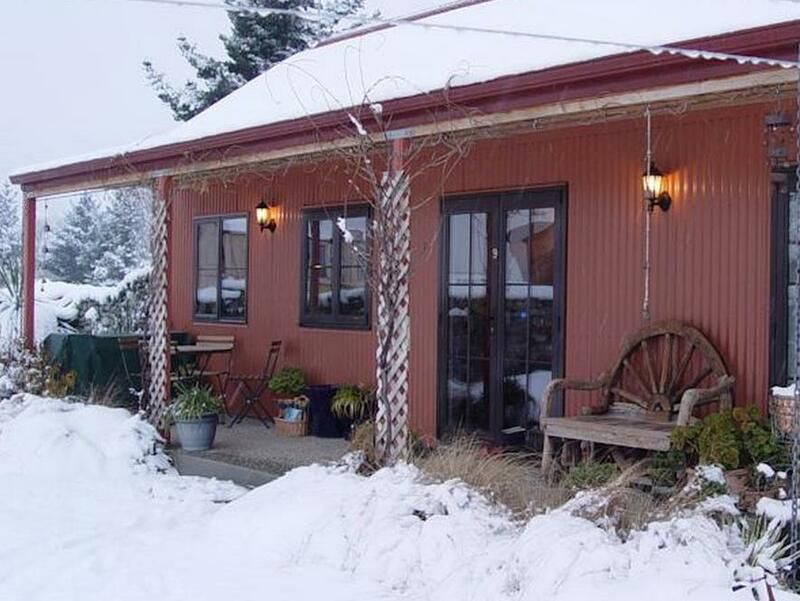 Situated in a vineyard, lovely views to the mountains,private and comfortable. Our stay at River Rock Estate was relaxing and comfortable. With views of the vineyard and mountains in the near distance, it was too easy just to sit and chat and eat and drink in a sunny spot on the patio! 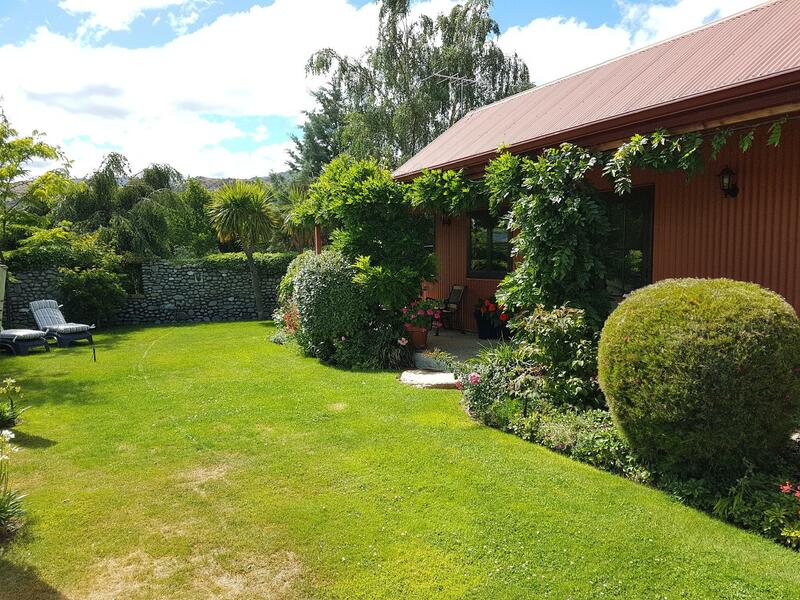 It was an ideal spot, not far from Wanaka and Queenstown and had plenty of nice drives and surrounds. Local fruit for sale was nice and close to a shopping area for convenience. A great base to explore the surrounds. Comfortable large room, beautiful surroundings, friednly staff. Lovely little B&B in a small winery. Bisnes luxurious room. Free wifi, but that was a bit unreliable. The winery produces great tasty wines, and there were some provided in the room. We drank one Bottle diring our stay and they did not charge anything for that. Breakfast was delivered in the kitchenette each day. 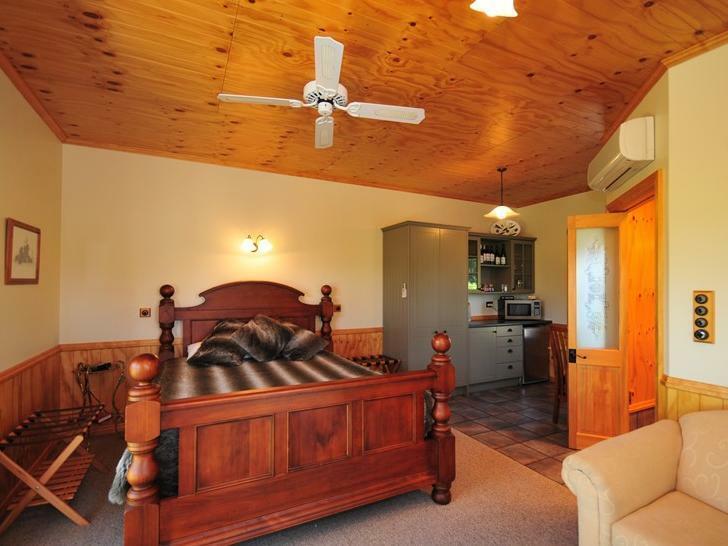 It's a great little out of the way bed and breakfast in Cromwell. The rooms were well designed and well furnished. The location is great if you are into wine with several vineyards within walking distance. Graeme and Jan are helpful and friendly and also run a nice restaurant/bar nearby. You are also a short drive from the lake, white water rafting, biking, etc. There are beautiful views of the mountains from your front porch. liked the newness and cleanliness of room.some dvd's provided. bed was too firm for us and a little difficult to get luggage to room on stepping stone path amid greenery.